Every day we have been enjoying seeing and hearing tūī on our property and around us for over a month now. While they have visited the area before, it was more of a fleeting in the past. This is the longest they have been around home at any one time. 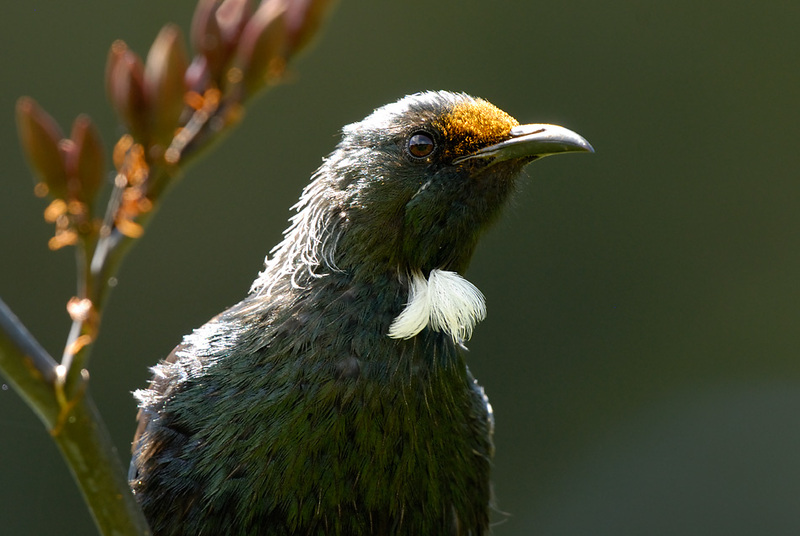 Tūī are boisterous and very vocal with tuneful notes interspersed with coughs, grunts and even wheezes. Their flight is also distinctive with a whirring noise in between powerful swooping glides. 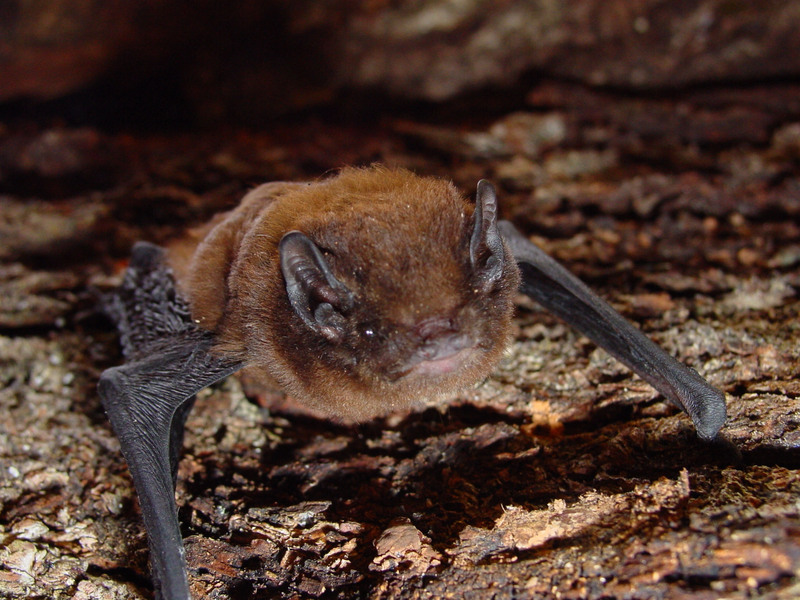 While they are common and widespread in many areas, not so in Canterbury. A few years ago, tūī were re-introduced back to Banks Peninsula. Where the tūī here came from is a mystery, but they came by themselves. The big question is will they stay? The bellbirds don’t share our enthusiasm, as the tūī are very bossy. Last summer, evening after evening, we also enjoyed the long-tailed bats flying around. They seemed to be delayed this year. We know from automatic bat detectors that they are about at a time when most people are asleep. Apart from the bats being delayed, there haven’t been that many warm evenings to sit outside and observe. Stick insects are another attraction during the summer months. Last year they were everywhere, this year we have seen few so far. Stick insects are related to grasshoppers, weta, and crickets. They generally feed on native vegetation and are usually active after dark. When disturbed, stick insects will often fall to the ground and “play dead” for hours. They also tend to sway back and forwards as in a dance, the function of which remains a mystery. Often, we have overseas visitors at this time of the year. We tend to be biased and show them our natural environment. After all they come from built up areas with history that dates back several hundreds of years. 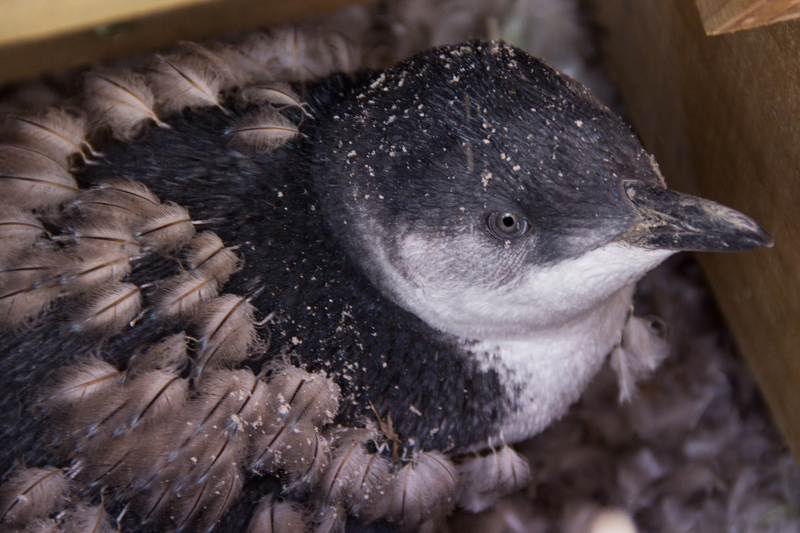 Korora, the little penguins at Marine Parade in Timaru are very popular with locals as well as visitors. It is great to see so many people making an effort, often late at night, to see korora coming in, getting washed up on the sandy beach before they start waddling towards the rocks. Some wait for others to arrive before they proceed along the base of the rocks to their nesting sites in Caroline Bay. It seems amazing that they swim up to 25 km from the coast during the day at 6 km per hour. They don’t seem to be perturbed that so many people come to watch them, just as they don’t seem to be put off by the cranes and machinery in the port. Thanks must go to all the volunteers at Marine Parade, who keep an eye on the visitors and are there to answer questions. Our recent visitor, coming from Switzerland, a landlocked country, enjoyed seeing penguins in the wild. 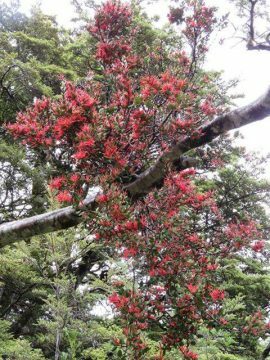 Recently at Arthur’s Pass we saw the bright red mistletoe in full flower, one of three species occurring on native beech trees. They are semi-parasitic plants with green leaves that photosynthesise, but rely on the host tree for water and nutrients. They are a striking adornment to some of the beech trees in early January. Sadly, like many other species, native mistletoe populations are declining. 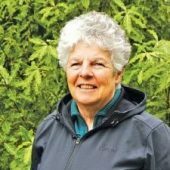 There are several reasons: vegetation clearance; the decline in native bird species that act as pollinators and seed-dispersers; rats eat and insects damage them. Mistletoe is to possums as ice cream is for people; they devour it freely and destroy it virtually overnight, so to see mistletoe is a good sign in terms of possum numbers. One night, we were all set to go and listen to kiwi, as part of the DOC summer holiday programme. It was snowing earlier that day (in the middle of summer!) down to below the bushline, but luckily cleared in the evening. Our group successively shrank as time went on, and by eleven o clock it was just the guide, my friend from Switzerland and I left so, we felt a bit sorry for the guy having to hang around just for us. Ironically it turned out the other group that went in the opposite direction heard kiwi calling!